Safety is critical for a successful business. Your business may be profitable and produce a high quality product, but if your employees are getting hurt in the process, you won't be in business very long. Unfortunately, safety training can become redundant year after year, and employees often become disinterested, following procedures established by management because it's a workplace requirement. 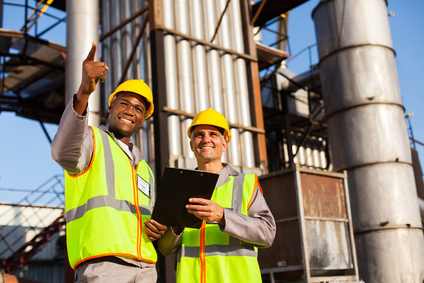 The following are a few simple tips on how to get your employees engaged in safety. It is well known that, if employees are given the opportunity to participate in making decisions that affect their job, including decisions about safety, they become more actively involved in the work that they do. Engaged employees are ones who feel trusted to perform and empowered to make a difference. Another benefit of involving your employees in making decisions is that participating in decision making can help employees to be more accountable. This not only helps them to achieve the safety goals of the organization, but helps them feel safer at work. Ask your employees for feedback. Listen to what your employees have to say. Admit that you don't know everything and ask for input. The key here is to follow through on any concerns or suggestions made by your employees. If employees believe they are being genuinely listened to, respect and trust can be generated which will motivate them to take responsibility and actively participate in solving problems. Also remember, employees will contribute well beyond what is expected of them if their work towards set safety goals are acknowledged and positively reinforced. Work together with your employees to set common goals. Try to get everyone pointed in the same direction concerning safety issues. For example, hold a meeting to have everyone brainstorm for ideas on how to improve safety. Implementing a safety team or committee with a mixed group of employees will help motivate them and keep safety a priority. Also, consider setting up safety incentive programs if your budget permits it. By keeping an open and ongoing safety discussion among employees, your business should have no problem achieving its safety goals. Workplace accidents don’t discriminate. An accident can happen to the best of us, even the most experienced employee. By engaging employees more at work, you can increase job satisfaction and commitment, as well as encouraging a safe environment. If you are not sure where you stand with respect to employee engagement in your company's safety programs, a safety perception survey can help.